Media group Reporters Without Borders said Tuesday it has observed a terrifying trend in the number of journalists killed and imprisoned worldwide, in 2018. For the first time, the US is one of the world’s deadliest countries for journalists after six were killed. The Paris-based group, also known as RSF, said the US ranked sixth on the list for most dangerous countries for journalists, behind Afghanistan, Syria, Mexico, Yemen, and India. 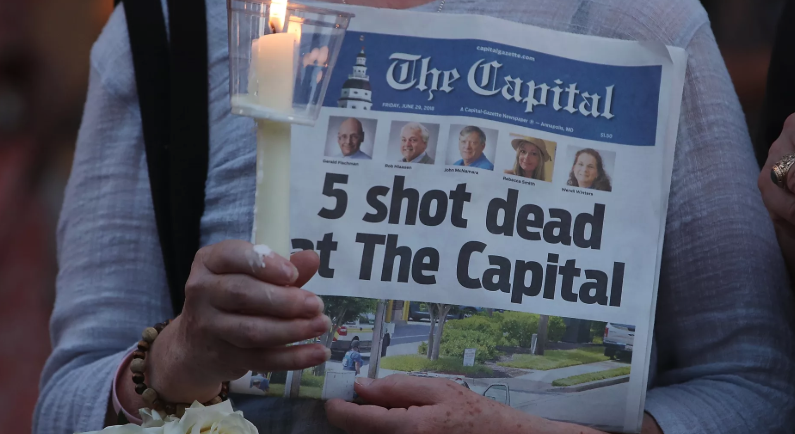 Four journalists, as well as a sales manager, were killed in June when a deranged gunman opened fire at the Annapolis, Maryland offices of the Capital Gazette. Two more reporters, a North Carolina television anchor and cameraman, were killed by a tree while covering a hurricane in May. "Non-professional journalists play a fundamental role in the production of news and information in countries with oppressive regimes and countries at war, where it is hard for professional journalists to operate," RSF said in the report. The big picture: The group states there is an "unprecedented" level of worldwide hostility against members of the press, than in any other period on record. Murder, imprisonment, hostage-taking, and disappearances of journalists all increased on a year-over-year basis. In total, 80 journalists were killed in 2018, with 49 murdered while 31 were killed in the act of reporting. While the report blames warzones in Afghanistan for the increased deaths, 45% of those killed were not in conflict regions. Three hundred and forty-eight reporters have so far been detained this year and 60 were held hostage. China leads the world in detentions, with 60 journalists held in state jails. 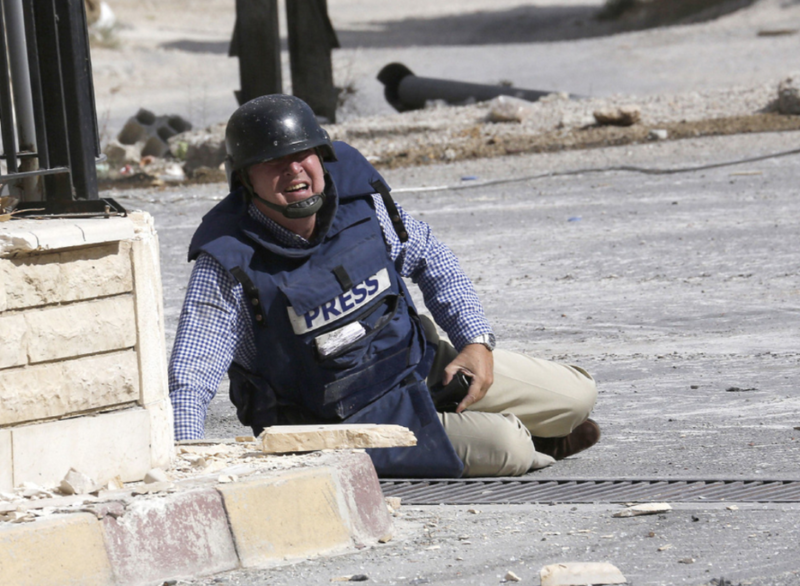 Thirty-one journalists are currently being held in Syria. 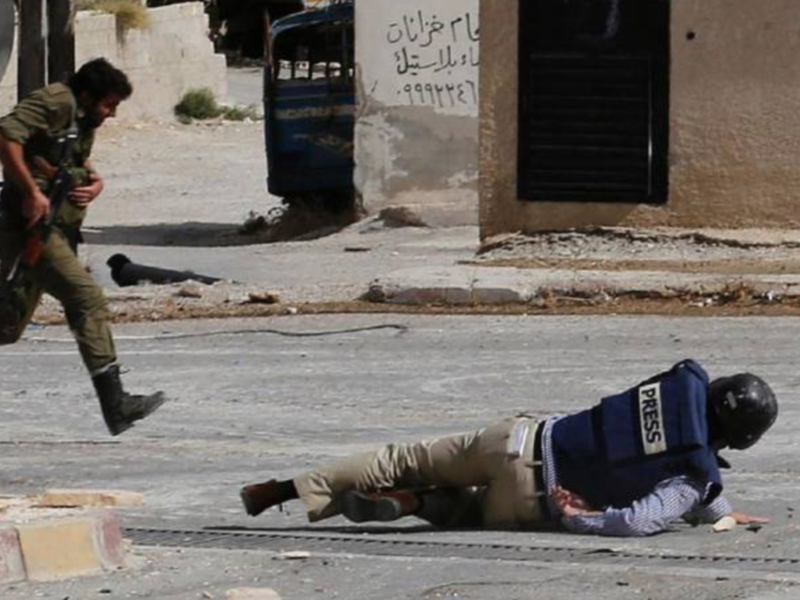 "Violence against journalists has reached unprecedented levels this year, and the situation is now critical," Christophe Deloire, the group's secretary general said. "The hatred of journalists that is voiced, and sometimes very openly proclaimed, by unscrupulous politicians, religious leaders and businessmen has tragic consequences on the ground, and has been reflected in this disturbing increase in violations against journalists." RSF highlights the case of Saudi journalist Jamal Khashoggi, who was allegedly killed in the Saudi consulate in Istanbul, Turkey. The report warned: The Khashoggi killing in October shows "how far some people will go to silence 'troublesome' journalists."